This is a lovely baluster vase in the popular Aurene range that was made by the Isle of Wight studio between 1974-1982. 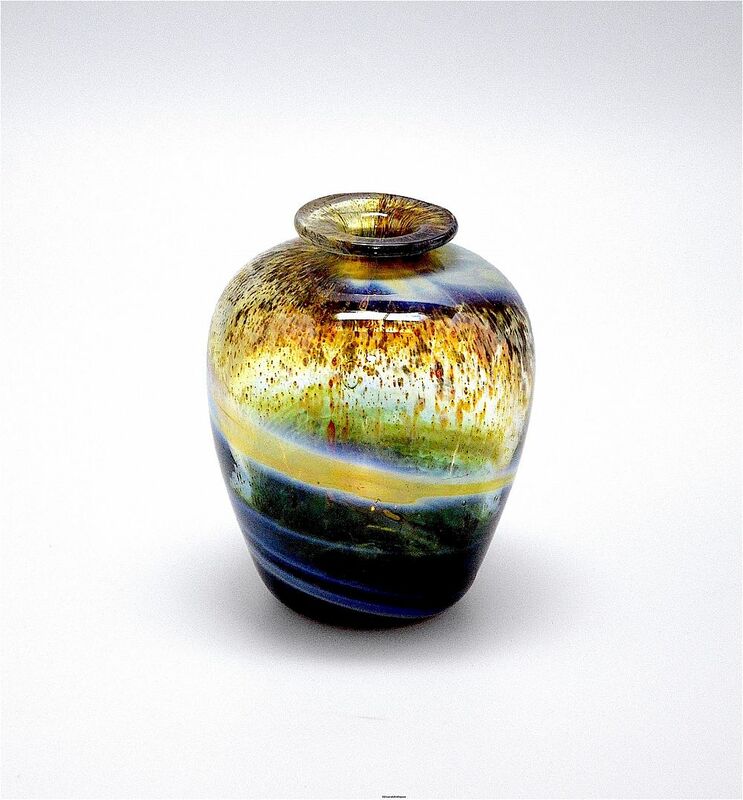 This particular vase is Gold Aurene having a blue base with a mottled brown & amber top and swirls of iridescent silver chloride and was probably made during the early part of the production of the Aurene range. The base has the "flame" pontil mark.